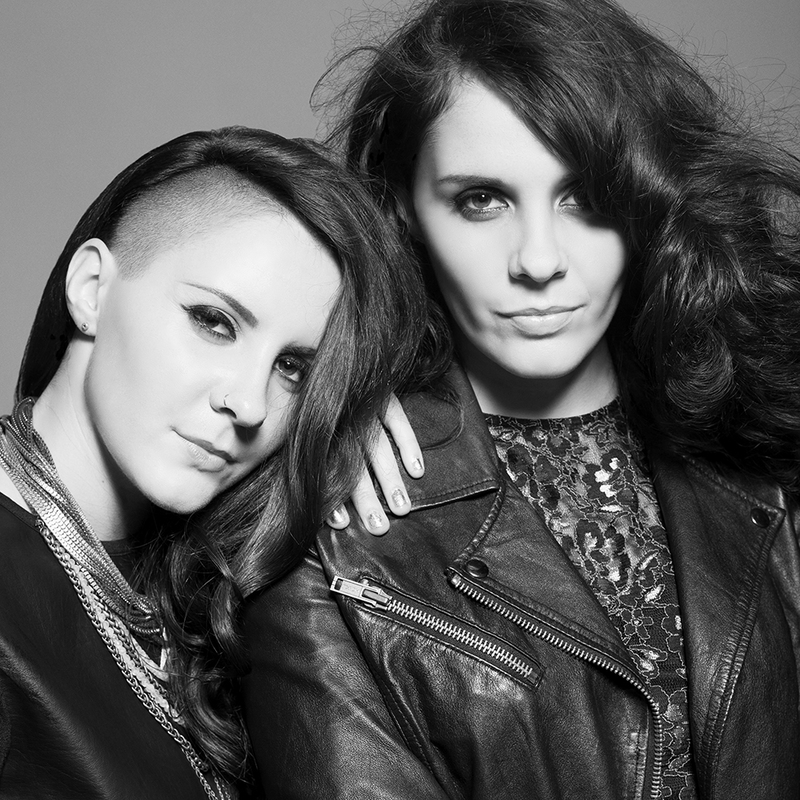 Staff writer Lauren McCarthy sits down with Irish duo Heathers about playing in Cork on December 9th, touring the US at 17 and playing for Steven Spielberg. It’s in the dappled light of Triskel Christchurch that I first meet Ellie and Louise, who are together Irish indie-pop duo Heathers. I grin when I see them trying to find the best light for a selfie against the stained glass window and as soon as they spot me they run over with big waves and exclamations of “Sorry, we’re still trying to get to grips with Snapchat!” Our roles reverse for a while – they ask me important questions about Cork, such as whether or not there is a Zara in the city centre. We then sit for the formal interview, though it feels far from that with the pair being natural conversationalists. They tell me how now they have more freedom to experiment with different styles of music, as can be seen in their two latest singles – ‘November’ is an emotional ballad about love and loss, while ‘Call Home’ is an upbeat contrast that they like to describe as “tropical pop”. On the subject of performances, I ask them what they prefer: performing or writing. The pair are divided in their opinions, with Louise admitting if she had to choose, she would create music. Ellie on the other hand says, “I would probably say performing. I love that feeling when you’re onstage singing and there’s that moment when you’re really feeling the song, and you know the people you’re performing to are really feeling something too. Something about that connection when you’re singing the words you wrote, I think that’s such an amazing feeling.” Louise chimed in then, laughing that she would write while Ellie could sing. However to me it seems impossible to separate the two. 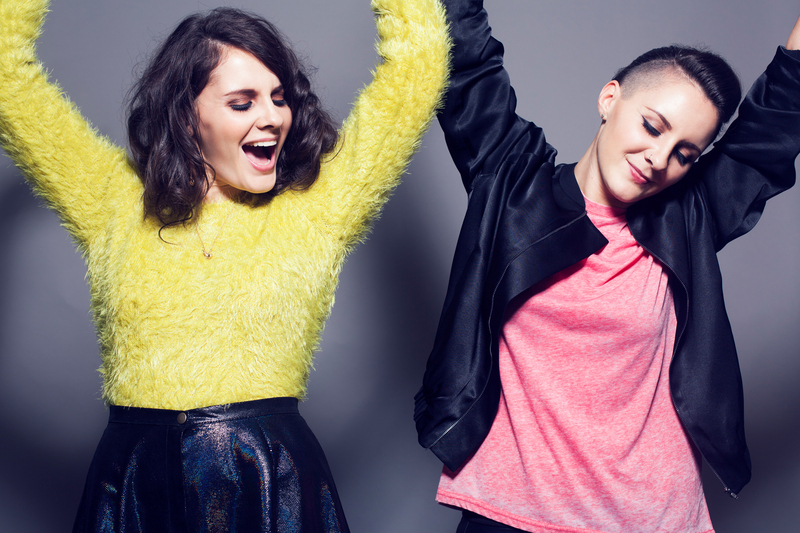 As twin sisters they’ve done a lot together, from writing their first album during their Leaving Cert, to touring the states and today they are releasing songs almost ten years after the success of Remember When. Do they ever get sick of each other? Although it’s been awhile since they wrote Here, Not There in 2008, I still can’t wrap my head around how the pair managed to write and record a full length album while also having time to sit their Leaving Cert. Not to mention that after the exams they toured the US and made it home in time to be college freshers that September. Asking Ellie how they did it, she seems almost as bemused as I am. Louise seems to share our perplexity, admitting that at the time it must have been extremely difficult. While I wouldn’t advocate writing an album during exam time like Heathers did, it definitely worked for them. Their enthusiastic work in their creative outlet has undoubtedly paid off. Before I know it, we’ve been deep in conversation for twenty minutes and we have to finish up the interview. We say our goodbyes, share some more laughs and part ways leaving me with a memory of their great optimism, gregarious nature and infectious personalities.